Got such thing as Youtube celebrity? Unfortunately yes, there are local Youtubers that are on the same level as celebrities. They come with their own fan clubs and ardent supporters that soak up their content on various platforms of social media. Hence the term “Internet famous” was coined. Being internet famous isn’t exactly new, however they’re mostly meme characters such as “Bad luck Brian”, “Overly attached girlfriend” or International Youtubers such as “Pewdiepie”, “KSI” and “H3H3”. In Singapore and Malaysia we have our own Internet Famous celebrities. Such as the crew from “Nightowl Cinematics (NOC)”, “Cheokboard Studios” and “Jianhao Tan”. Now we’ve cleared up “Internet Fame” let’s talk about the spat. 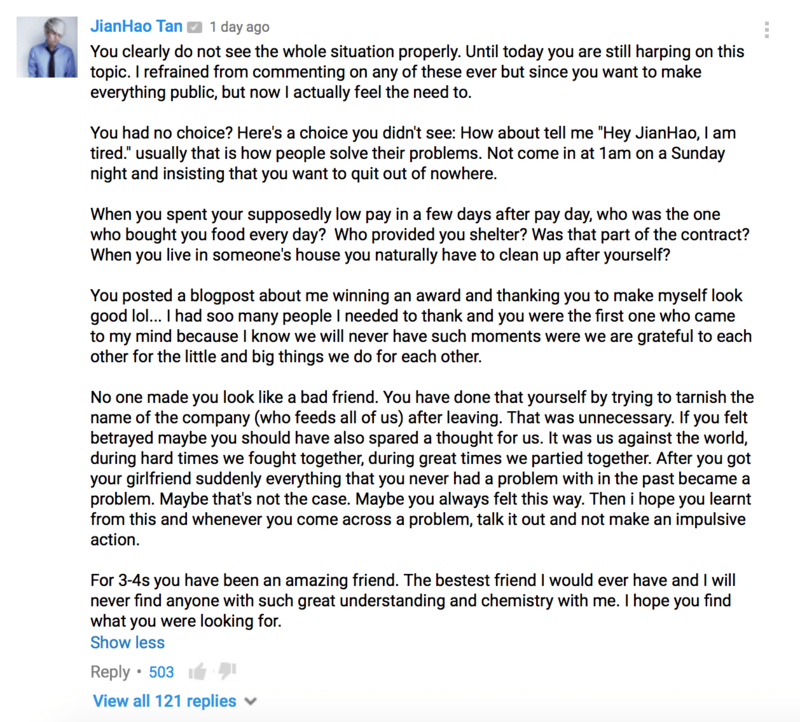 Youtuber Jianhao Tan and BFF Ridhwan Azman (Ah boys to Men) are taking their squabble and airing it on Youtube and Instagram. Is this a publicity stunt, a true blue honest to god cat fight, or just one disgruntled employee crying foul? Ridhwan uploaded a video explaining why he quit. From what we understand, (also because it’s been explicitly stated by Ridhwan) Ridhwan and Jianhao are best friends or were best friends. They also worked together. 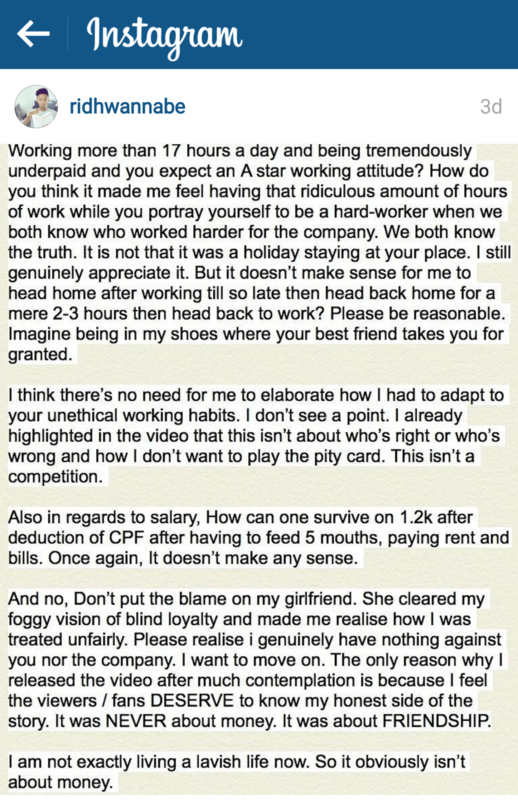 They made youtube videos together and Ridhwan states that he was paid a miserable amount and had to work long hours. If you weren’t aware how much “Internet Famous” people make from producing content and uploading it onto the internet you might want to shock yourself with the networth of a few famous Youtubers. It’s very much not Child’s Play. There are Youtubers with Lamborghinis and Ferraris in the UK and US.